Teen Hollywood Celebrity News and Gossip | Just Jared Jr.
NCT 127 are opening up about their new EP! 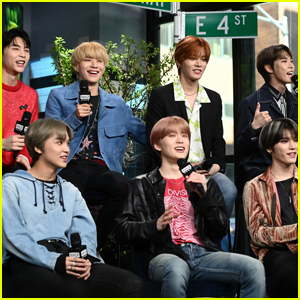 Band mates – Taeyong, Taeil, Yuta, Jaehyun, Winwin, Johnny, Doyoung, Jungwoo, Mark, and Haechan – stopped by BUILD Series to promote We Are Superhuman on Tuesday (April 23) in New York City. The day before, NCT 127 appeared on SiriusXM to reveal their musical inspirations – which includes Justin Bieber. NCT’s We Are Superhuman will be released May 24. Laura Marano‘s new movie The Perfect Date is one of our favorite movies on Netflix right now and she looked to a very famous first for her her role as Celia. 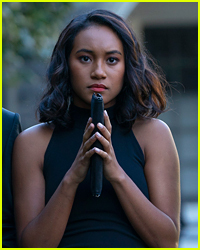 The 23-year-old actress opened up more about the flick with Elle magazine. “I watched a bunch of Jennifer Lawrence interviews and got into character by watching Jennifer Lawrence,” Laura says about getting the inspiration for Celia. She adds, “On the days that we were filming, I felt like it actually became quite easy for me to kind of step into her shoes and be her. So, could Brooks and Celia last through college? Laura says maybe. The Perfect Date is streaming now on Netflix. Jackie Evancho looks amazing in a white suit ahead of her performance at 54 Below on Tuesday night (April 23) in New York City. The 19-year-old singer posed with her concert director Will Nunziata ahead of the show. Speaking with NY Daily News recently, Jackie opened up about finding a new side of her voice with her new album, The Debut. “This is the first album where I was actually able to speak my mind, and people listened,” she shared. “You’ll be able to see a bit of my ideas as an artist, rather than just a singer. 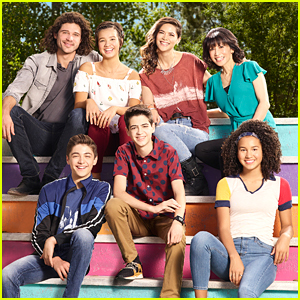 Sofia Wylie is joining Joshua Rush in making us cry all about Andi Mack ending. The 15-year-old actress, who played Buffy Driscoll on the series, headed to Twitter after the news was announced that the show would not be returning for a season four. 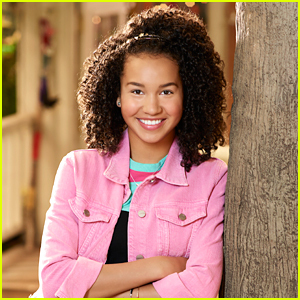 “#AndiMack will forever ‘be apart of me’ and forever will I cherish all the fans, writers, crew and cast!” she wrote in a tribute. Olivia Holt is opening up about training for those ballet scenes in the new season of Marvel’s Cloak & Dagger. 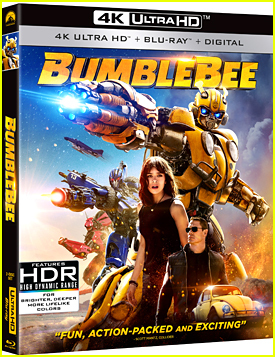 In an exclusive featurette, the 21-year-old actress revealed that she’s really never taken a ballet class in her life. “I was a gymnast for seven years, so I feel like that helped me when I went into ballet training [for the show],” Olivia explains. She adds that she’s thankful Tandy wasn’t supposed to be the best either. “I was certainly not great at it,” she joked. Check out the full featurette below and tune into this week’s episode, airing TOMORROW on Freeform! Louis Tomlinson‘s new video is totally going to make you cry. 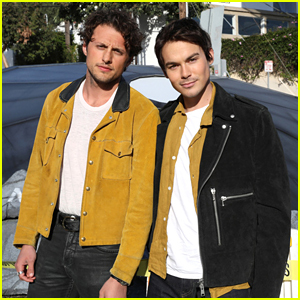 The 27-year-old singer just released the music video for his song “Two of Us” in which he helps 83-year-old Richard Green complete his bucket list. Around the same time that Louis lost his mom after a battle with leukemia, Richard‘s wife Pat had passed away from Alzheimer’s disease. 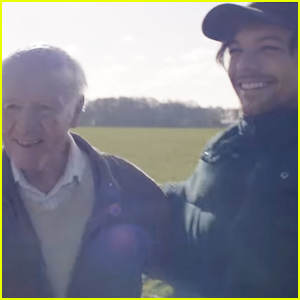 From flying a helicopter and driving a race car, to riding a roller coaster and singing in a packed arena, Louis helped Richard accomplish things on his bucket list. Richard even gave Louis a tattoo! Louis and Richard are also encouraging fans to make donations to Cancer Research and the Alzheimer’s Society and Bluebell Wood Children’s Hospice.